just follow a few simple steps and we will take care of the rest. 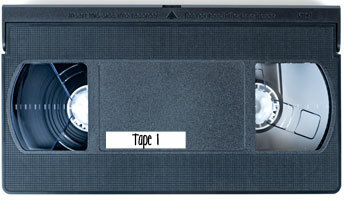 If you want your video tapes transferred in a specific order, please let us know. The best way to communicate your desired order is to add a small label on your video tapes. 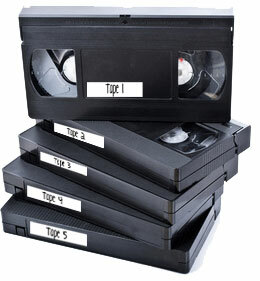 Just number the video tapes in chronological order and we will keep your tapes in the same order. If your tapes are already labeled by dates, just include a note with your video tapes letting us know the order you want your tapes transferred in. *Do not put any labels on the back flap that would prevent the video tape from playing or prevent video cases from opening. If you are not concerned about the order that your video tapes are transferred in, then you don't need to do anything else. Just send us your video tapes along with your order form and we will take care of the rest. Because all video tapes look alike, we label all video tapes as soon as they arrive in our facility. We will label all your tapes with your last name & a tape number. Every video tape will go on its own DVD. When we create your discs, the discs will be numbered, and the number on the disc will correspond to the number on your tape.